We’re going to start our Grenco Science G Pen Elite Vaporizer Review by pointing out a very important fact: the G Pen Elite is a dry herb vaporizer. It cannot be used for vaping e-liquids. If juice is your thing it won’t be the pen for you, so you might want to check out some of our other vaporizer reviews and find a more suitable option. 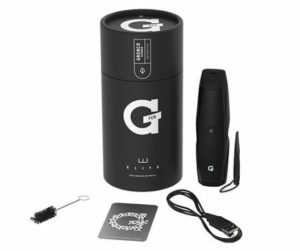 The G Pen Elite is a portable convection vaporizer with a snazzy, stylish design, and Grenco appears to be pretty pleased with their pen because they say it’s “a monumental leap in technology for both brand and industry”. All that self-praise comes across as being a little big headed, but when we took a good look at the unit we can see why they are so keen to go running off at the mouth. For starter the G Pen Elite Vaporizer boasts a largest ceramic oven on the market and the temperature can be adjusted at the touch of a button. The heat range is 200° – 428°F (93° – 220°C), so there’s a lot to play with. Many people may find a temperature somewhere in the middle is about right, but going lower will give the vape extra flavour and a higher temperature will make it easier to blow more impressive clouds. Grenco Science is about as reputable as you can get and actively supports a number of charities by donating a portion of the proceeds of each sale to non-profit organizations. The company has also produced a range of products in association with the rapper Snoop Dogg. Celebrities have to be careful about what they put their name to, so the fact that Snoop Dogg has designed a range of products for Grenco Science says a lot. That’s everything anyone could need apart from the herb. Once you’ve got that you’re good to go. It’s a good kit and the G Card is a nice touch. Who would say no to a portable grinder that’s so easy to pop into a wallet or purse? 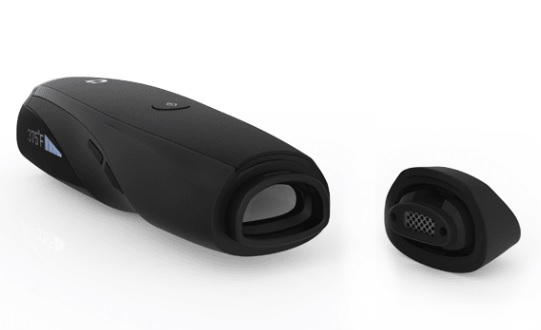 The G Pen Elite Vaporizer herb vaporizer appears to have impressed an awful lot of people. What Does the G Pen Elite Vaporizer Cost and is it Worth the Money? At the time we wrote our G Pen Elite vaporizer review, the device had a price tag of USD$ 169. 95. If you are reading this from the UK you will be looking at paying around £138. That’s about €155 if you are based elsewhere in Europe. As far as the price goes, that’s none too shabby for a dry herb vaporizer of this quality. If so many people are saying so many good things about a product it will not be without good reason, and that’s reason enough to give the G Pen Elite serious consideration. 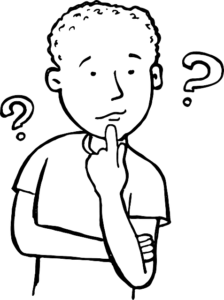 Granted, it’s unsuitable for anyone who wants to vape e-liquid but, if herbs are your thing, your not going to find a herb vaporizer with a better oven. Although customers living in the USA may find a local stockist, people living elsewhere in the world will need to purchase a vaporizer from the Grenco Science website, but Amazon usually offer the best price. Grenco Science offer worldwide shipping, and customers living in the USA will qualify for free Fedex domestic ground shipping because Grenco Science offer this for all orders with a value of $100 or more. After sales service is good. All Grenco Science Vaporizers come with a one-year warranty, and customer support personnel can be contacted by phone during normal office hours (Pacific Standard Time). An online contact form is also provided. This may prove to be the most convenient option for customers based in the UK and Europe. We started our G Pen Elite Vaporizer review by pointing out the device is only suitable for vaping dry herbs. We are going to repeat it here for anyone that is so fond of skimming pages they didn’t bother to read the opening paragraph. If herbs are your thing, the G Pen Elite should be right up your street. The generous oven size is probably a strong enough selling point alone but, the variable temperature control and stylish design take a good thing and make it better. The G Pen Elite is a vaporizer that looks as good as it vapes. It’s hard not to be impressed.